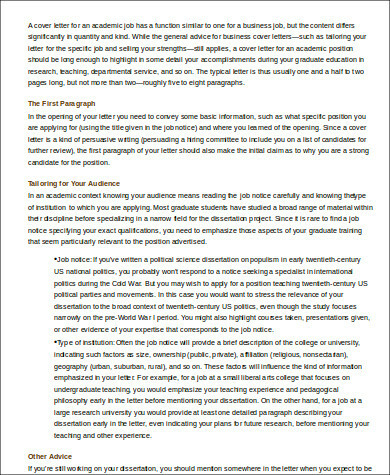 Cover letters are introductory statements for applications in the academe or in the world of employment. Though these are concise, single-paged documents, a lot can go wrong with their writing. The very purpose of a cover letter is to address the company or the program you are applying to, but this alone is an incomplete notion. With just this in mind, a lot of people take wrong turns with its creation. Many have perceived cover letters to be mere jackets or obligatory conducts of professionalism and nothing else. By contrast, what a cover letter should actually do is to address application managers with your qualifications and competencies. 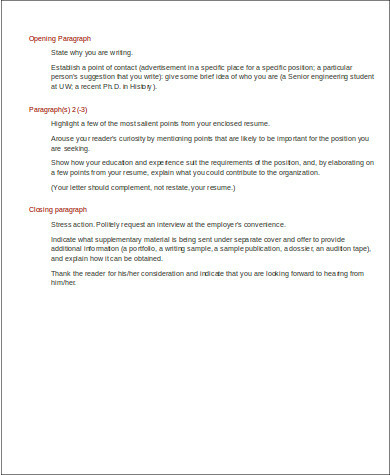 Let this post and these Sample Cover Letters guide you in writing an effective cover letter for your application. The subject of the cover letter is rife with mistakes and mishaps. While it is not obligatory to attach cover letters atop applications, it has a very crucial characteristic. Depending on how well it is made, a cover letter can either increase or plummet your chances at a successful application. Remember that a cover letter introduces you and all that you have to offer. It is thus your first impression to committees or managers. While it has already been disproved that “first impressions last,” they still definitely count, especially when you are selling yourself as you do for applications. Your cover letter should sum up all the entries on your resume or application, in a way that makes you the best and most suitable candidate for the position. It should also demonstrate your knowledge about the institution you are applying to, and your passion to be incorporated to it. These samples are downloadable and easily editable with empty sections to be filled out with your information. Use them as they are already written, or as your guide for writing your very own. The best cover letters are said to be the most concise, so be clear, direct to the point, and formal with both the content and the formatting. Cover letters should follow professional letter standards with the following guidelines. The section on the recipient’s name and address must be aligned to the left. Justify the body of the letter. Your name and your contact details below should also be aligned to the left. 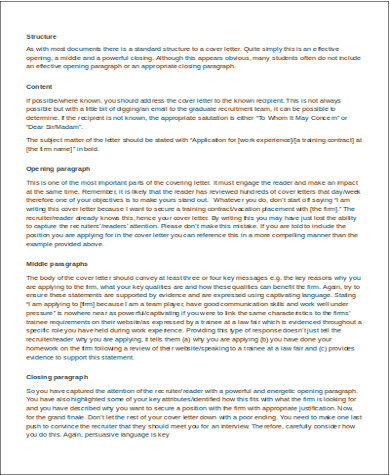 Block paragraphs are used after every paragraph. Block-paragraphing is preferred instead of indents, and this is done by tapping “Enter” on your keyboard twice. when you are really passionate about working for the company. Additionally, a cover letter could benefit you if you are a fresh graduate or if your previous employment was from an unrelated industry or field. In these cases, attaching one could address gaps you may have in your resume, and could highlight your skills and qualifications. 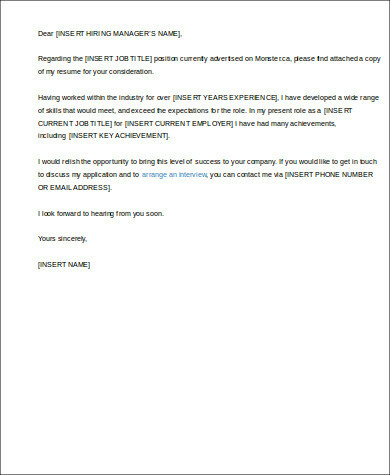 For reference, see these Sample Cover Letters For Job. Proofread your letter twice, or have someone else assess it too. Send your cover letter along with your application through the institution’s preferred means, whether through post or e-mail. 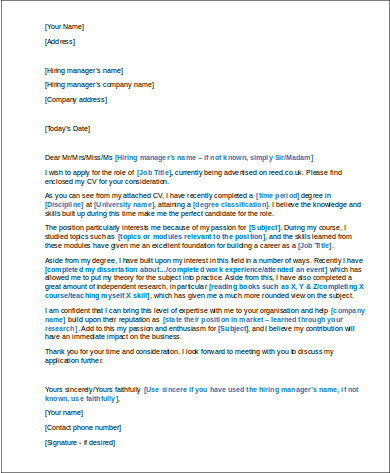 Address it to a single person, like in this Sample Cover Letter for Resumes.